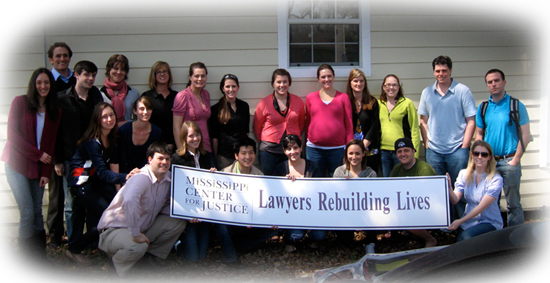 Spring Break of Service is a group organized by and for those students interested in providing legal services as part of a weeklong volunteer opportunity over spring break. This past academic year (2012-2013) the Spring Break of Service sent students to New Orleans, LA to work at the Orleans Public Defenders office and Knoxville, TN to work at the Knox County Public Defender's Community Law Office. This year (2013-2014), we plan to send an unprecedented 38 students to the Orleans Public Defenders, the Knox County Public Defender's Community Law Office, and the Mississippi Center for Justice. We will provide over 1500 hours of legal services to these offices. Students aid these offices with discovery, legal research and writing, preparing for court, and interacting with clients.